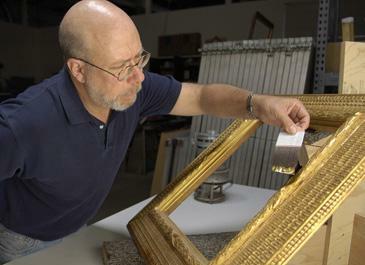 At the Lunder Conservation Center, visitors have the unique opportunity to see conservators at work in five different laboratories and studios. 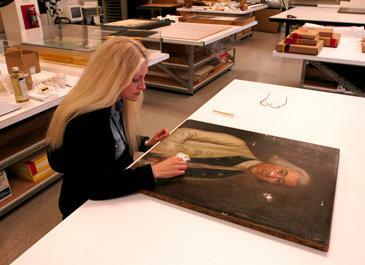 The Center features floor-to-ceiling glass walls that allow the public to view all aspects of conservation work—work that is traditionally done behind the scenes at other museums and conservation centers. Interactive kiosks and special displays make it easy for visitors to learn about the importance of conservation and show how to take an active role in caring for public art and monuments, as well as how to care for personal treasures at home. We're located on the third floor of the American Art Museum, next to the Luce Center. 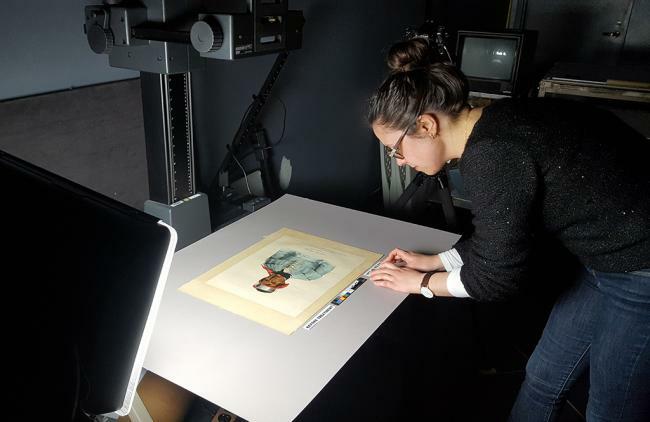 Discover the magic of art conservation! See the challenges and rewards of a successful treatment at a glance. 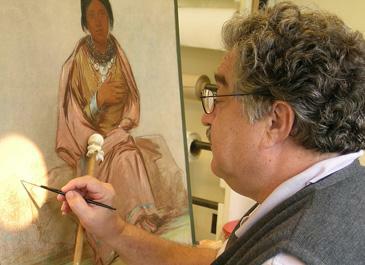 View all before and after conservation treatments. Treatment videos and recordings of conservation-focussed programs from the Lunder Conservation Center. View all conservation videos. Visit the Lunder Conservation Center on Facebook for regular updates.